The context for this workshop is the idea that policy theories could be more helpful to policymakers/ practitioners if we could all communicate more effectively with each other. Academics draw general and relatively abstract conclusions from multiple cases. Practitioners draw very similar conclusions from rich descriptions of direct experience in a smaller number of cases. How can we bring together their insights and use a language that we all understand? Or, more ambitiously, how can we use policy theory-based insights to inform the early career development training that civil servants and researchers receive? The first step is to translate policy theories into a non-technical language by trying to speak with an audience beyond our immediate peers (see for example Practical Lessons from Policy Theories). Central government policymakers may accept the descriptive accuracy of policy theories emphasising limited central control, but not the recommendation that they should let go, share power, and describe their limits to the public. Scientists may accept key limitations to ‘evidence based policymaking’ but reject the idea that they should respond by becoming better storytellers or more manipulative operators. Researchers and practitioners struggle to resolve hard choices when combining evidence and ‘coproduction’ while ‘scaling up’ policy interventions. Evidence choice is political choice. Can we do more than merely encourage people to accept this point? I discuss these examples below because they are closest to my heart (especially example 1). Note throughout that I am presenting one interpretation about: (1) the most promising insights, and (2) their implications for practice. Other interpretations of the literature and its implications are available. They are just a bit harder to find. If we insist on keeping the cycle metaphor, it is more accurate to see the process as a huge set of policy cycles that connect with each other in messy and unpredictable ways. The cycle approach also links strongly to the idea of ‘comprehensive rationality’ in which a small group of policymakers and analysts are in full possession of the facts and full control of the policy process. They carry out their aims through a series of stages. Limited choice. Policymakers inherit organisations, rules, and choices. Most ‘new’ choice is a revision of the old. Limited attention. Policymakers must ignore almost all of the policy problems for which they are formally responsible. They pay attention to some, and delegate most responsibility to civil servants. Bureaucrats rely on other actors for information and advice, and they build relationships on trust and information exchange. Limited central control. Policy may appear to be made at the ‘top’ or in the ‘centre’, but in practice policymaking responsibility is spread across many levels and types of government (many ‘centres’). ‘Street level’ actors make policy as they deliver. Policy outcomes appear to ‘emerge’ locally despite central government attempts to control their fate. Limited policy change. Most policy change is minor, made and influenced by actors who interpret new evidence through the lens of their beliefs. Well-established beliefs limit the opportunities of new solutions. Governments tend to rely on trial-and-error, based on previous agreements, rather than radical policy change based on a new agenda. New solutions succeed only during brief and infrequent windows of opportunity. It provides a simple model of policymaking with stages that map onto important policymaking functions. It provides a way to project policymaking to the public. You know how we make policy, and that we are in charge, so you know who to hold to account. Accept routine error, reduce short-term performance management, engage more in trial and error, and ‘let go’ to allow local actors the flexibility to adapt and respond to their context. However, would a government in the Westminster tradition really embrace this advice? No. They need to balance (a) pragmatic policymaking, and (b) an image of governing competence. Another option is to try to help improve an existing approach. Koski and Workman build on PET to recommend ways to process information more effectively. Studies built on MSA tend to focus on ‘entrepreneurs’ having a technically and politically feasible solution ready for the next window of opportunity. Sanderson describes the skills required for ‘intelligent policymaking’. 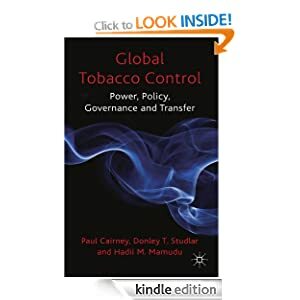 I used to read many papers on tobacco policy, with the same basic message: we have the evidence of tobacco harm, and evidence of which solutions work, but there is an evidence-policy gap caused by too-powerful tobacco companies, low political will, and pathological policymaking. These accounts are not informed by theories of policymaking. I then read Oliver et al’s paper on the lack of policy theory in health/ environmental scholarship on the ‘barriers’ to the use of evidence in policy. Very few articles rely on policy concepts, and most of the few rely on the policy cycle. This lack of policy theory is clear in their description of possible solutions – better communication, networking, timing, and more science literacy in government – which does not describe well the need to respond to policymaker psychology and a complex policymaking environment. So, I wrote The Politics of Evidence-Based Policymaking and one zillion blog posts to help identify the ways in which policy theories could help explain the relationship between evidence and policy. Since then, the highest demand to speak about the book has come from government/ public servant, NGO, and scientific audiences outside my discipline. The feedback is generally that: (a) the book’s description sums up their experience of engagement with the policy process, and (b) maybe it opens up discussion about how to engage more effectively. But how exactly do we turn empirical descriptions of policymaking into practical advice? We can then consider many possible responses in the sequel What can you do when policymakers ignore your evidence? ‘How to do it’ advice. I compare tips for individuals (from experienced practitioners) with tips based on policy concepts. They are quite similar-looking tips – e.g. find out where the action is, learn the rules, tell good stories, engage allies, seek windows of opportunity – but I describe mine as 5 impossible tasks! Organisational reform. I describe work with the European Commission Joint Research Centre to identify 8 skills or functions of an organisation bringing together the supply/demand of knowledge. Ethical dilemmas. I use key policy theories to ask people how far they want to go to privilege evidence in policy. It’s fun to talk about these things with the type of scientist who sees any form of storytelling as manipulation. This focus on EBPM is useful context for discussions of ‘policy learning’ and ‘policy transfer’, and it was the focus of my ANZOG talk entitled (rather ambitiously) ‘teaching evidence-based policy to fly’. I’ve taken a personal interest in this one because I’m part of a project – called IMAJINE – in which we have to combine academic theory and practical responses. We are trying to share policy solutions across Europe rather than explain why few people share them! Policy learning is a political process, and expert-driven learning is one of many possibilities, alongside dialogue, bargaining, and hierarchical models. Indeed, researchers often do badly because they don’t learn how to deal with the politics. 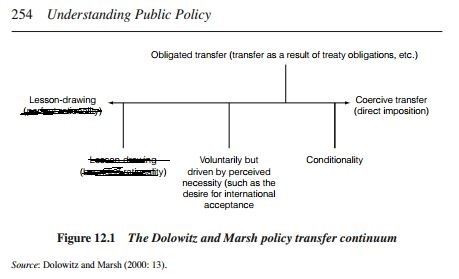 Policy transfer can be maximal or minimal, and driven voluntarily or via coercion. A policy solution, when ‘imported’, can be mimicked, translated or transformed. When transfer is voluntary, receptivity to new solutions is more important than their supply. There are very different ‘evidence-based’ models on how to ‘scale up’ policy success. What is the evidence for success, and from where does it come? Governments often project success without backing it up. What story do policymakers tell about the problem they are trying to solve, the solutions they produced, and why? Two different governments may be framing and trying to solve the same problem in very different ways. Was the policy introduced in a comparable policymaking system? People tend to focus on political system comparability (e.g. is it unitary or federal? 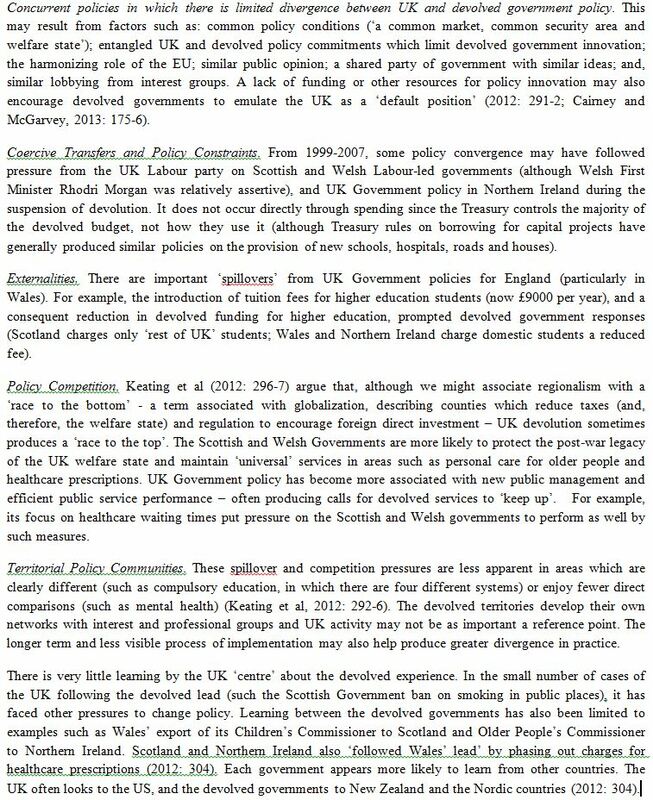 ), but I think the key is in policymaking system comparability (e.g. what are the rules and dominant ideas?). To be honest, when one of our external assessors asked me how well I thought I would do, we both smiled because the answer may be ‘not very’. In other words, the most practical lesson may be the hardest to take, although I find it comforting: the literature suggests that policymakers might ignore you for 20 years then suddenly become very (but briefly) interested in your work. I wanted to compare how I describe things to (1) civil servants (2) practitioners/ researcher (3) me, but who has the time/ desire to listen to 3 powerpoints in one go? If the answer is you, let me know and we’ll set up a Zoom call. This post provides (a generous amount of) background for my ANZSOG talk Teaching evidence based policy to fly: transferring sound policies across the world. there can be major unintended consequences to importing ideas, such as the adoption of policy solutions with poorly-evidenced success, or a broader sense of failed transportation caused by factors such as a poor fit between the aims of the exporter/importer. the use of evidence to spread policy innovation requires two interconnected choices: what counts as good evidence, and what role central governments should play. the following ’11 question guide’ to evidence based policy transfer serves more as a way to reflect than a blueprint for action. As usual, I suggest that we focus less on how we think we’d like to do it, and more on how people actually do it. 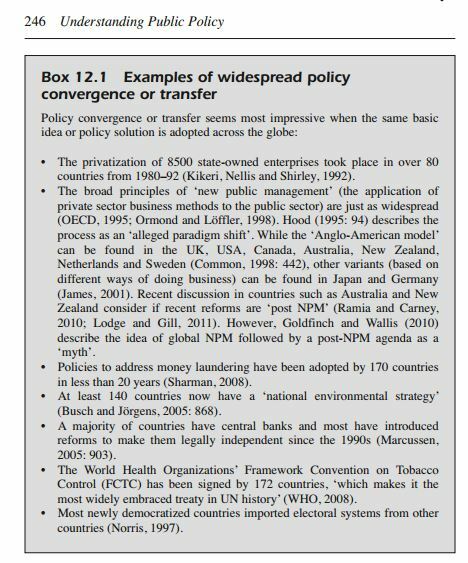 Policy transfer describes the use of evidence about policy in one political system to help develop policy in another. Taken at face value, it sounds like a great idea: why would a government try to reinvent the wheel when another government has shown how to do it? ‘Evidence based’ is a highly misleading description of the use of information in policy. To transfer a policy blueprint completely, in this manner, would require all places and contexts to be the same, and for the policy process to be technocratic and apolitical. 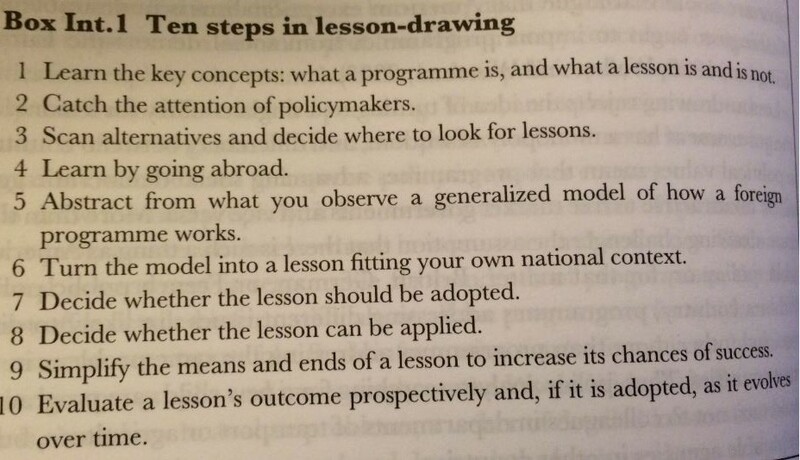 There are general academic guides on how to learn lessons from others systematically – such as Richard Rose’s ‘practical guide’ – but most academic work on learning and transfer does not suggest that policymakers follow this kind of advice. Instead, policy learning is a political process – involving the exercise of power to determine what and how to learn – and it is difficult to separate policy transfer from the wider use of evidence and ideas in policy processes. There are many forms of policy-relevant evidence and few policymakers adhere to a strict ‘hierarchy’ of knowledge. Therefore, it is unclear how one government can, or should, generate evidence of another government’s policy success. Policymakers must find ways to ignore most evidence – such as by combining ‘rational’ and ‘irrational’ cognitive shortcuts – to be able to act quickly. The generation of policy transfer lessons is a highly political process in which actors adapt to this need to prioritise information while competing with each other. They exercise power to: prioritise some information and downplay the rest, define the nature of the policy problem, and evaluate the success of another government’s solutions. There is a strong possibility that policymakers will import policy solutions without knowing if, and why, they were successful. They do not control the policy process in which they engage. We should not treat ‘policy transfer’ as separate from the policy process in which policymakers and influencers engage. Rather, the evidence of international experience competes with many other sources of ideas and evidence within a complex policymaking system. Studies of the use of evaluation evidence (perhaps to answer the question: was this policy successful?) have long described policymakers using the research process for many different purposes, from short term problem-solving and long-term enlightenment, to putting off decisions or using evidence cynically to support an existing policy. Individuals combine cognition and emotion to process information, in organisations with rules that influence their motive and ability to learn, and in wider systems, in which many actors cooperate and compete to establish the rules of evidence gathering and analysis, or policymaking environments that constrain or facilitate their action. Epistemic. Primarily by scientific experts transmitting knowledge to policymakers. Reflection. Open dialogue to incorporate diverse forms of knowledge and encourage cooperation. Bargaining. Actors learn how to cooperate and compete effectively. Hierarchy. Actors with authority learn how to impose their aims; others learn the limits to their discretion. 3.The process can be ‘dysfunctional’: driven by groupthink, limited analysis, and learning how to dominate policymaking, not improve policy. Experts will be ineffective if they assume that policy learning is epistemic. The assumption will leave them ill-prepared to deal with bargaining. There is more than one legitimate way to learn, such as via deliberative processes that incorporate more perspectives and forms of knowledge. What does the literature on transfer tell us? driven voluntarily, by a desire to learn from the story of another government’s policy’s success. In such cases, importers use shortcuts to learning, such as by restricting their search to systems with which they have something in common (such as geography or ideology), learning via intermediaries such as ‘entrepreneurs’, or limiting their searches for evidence of success. driven by various forms of pressure, including encouragement by central (or supranational) governments, international norms or agreements, ‘spillover’ effects causing one system to respond to innovation by another, or demands by businesses to minimise the cost of doing business. Nor is it the same as ‘policy success’, which can be assessed by a mix of questions to reflect political reality: did it make the government more re-electable, was the process of change relatively manageable, and did it produce intended outcomes? When encouraging policy diffusion within a political system, choices about: (a) what counts as ‘good’ evidence of policy success have a major connection to (b) what counts as good governance. In one scenario, we begin by relying primarily on RCT evidence (multiple international trials) and import a relatively fixed model, to ensure ‘fidelity’ to a proven intervention and allow us to measure its effect in a new context. This choice of good evidence limits the ability of subnational policymakers to adapt policy to local contexts. In another scenario, we begin by relying primary on governance principles, such as to respect local discretion as well as incorporate practitioner and user experience as important knowledge claims. The choice of governance model relates closely to a less narrow sense of what counts as good evidence, but also a more limited ability to evaluate policy success scientifically. In other words, the political choice to privilege some forms of evidence is difficult to separate from another political choice to privilege the role of one form of government. In that context, these steps to evidence-informed policy transfer serve more to encourage reflection than provide a blueprint for action. I accept that 11 is less catchy than 10. What problem did policymakers say they were trying to solve, and why? What solution(s) did they produce? Points 1-3 represent the classic and necessary questions from policy studies: (1) ‘what is policy?’ (2) ‘how much did policy change?’ and (3) why? Until we have a good answer, we do not know how to draw comparable lessons. Learning from another government’s policy choices is no substitute for learning from more meaningful policy change. 4. Was the project introduced in a country or region which is sufficiently comparable? Comparability can relate to the size and type of country, the nature of the problem, the aims of the borrowing/ lending government and their measures of success. 5. Was it introduced nationwide, or in a region which is sufficiently representative of the national experience (it is not an outlier)? 6. How do we account for the role of scale, and the different cultures and expectations in each policy field? Points 4-6 inform initial background discussions of case study reports. We need to focus on comparability when describing the context in which the original policy developed. It is not enough to state that two political systems are different. We need to identify the relevance and implications of the differences, from another government’s definition of the problem to the logistics of their task. 7. Has the project been evaluated independently, subject to peer review and/ or using measures deemed acceptable to the government? 8. Has the evaluation been of a sufficient period in proportion to the expected outcomes? 9. Are we confident that this project has been evaluated the most favourably – i.e. that our search for relevant lessons has been systematic, based on recognisable criteria (rather than reputations)? 10. Are we identifying ‘Good practice’ based on positive experience, ‘Promising approaches’ based on positive but unsystematic findings, ‘Research–based’ or based on ‘sound theory informed by a growing body of empirical research’, or ‘Evidence–based’, when ‘the programme or practice has been rigorously evaluated and has consistently been shown to work’? Points 7-10 raise issues about the relationships between (a) what evidence we should use to evaluate success or potential, and (b) how long we should wait to declare success. 11. What will be the relationship between evidence and governance? Should we identify the same basic model and transfer it uniformly, tell a qualitative story about the model and invite people to adapt it, or focus pragmatically on an eclectic range of evidential sources and focus on the training of the actors who will implement policy? Information technology has allowed us to gather a huge amount of policy-relevant information across the globe. However, it has not solved the limitations we face in defining policy problems clearly, gathering evidence on policy solutions systematically, and generating international lessons that we can use to inform domestic policy processes. This rise in available evidence is not a substitute for policy analysis and political choice. These choices range from how to adjudicate between competing policy preference, to how to define good evidence and good government. A lack of attention to these wider questions helps explain why – at least from some perspectives – policy transfer seems to fail. This academic journal article (in Evidence and Policy) highlights the dilemmas faced by policymakers when they have to make two choices at once, to decide: (1) what is the best evidence, and (2) how strongly they should insist that local policymakers use it. 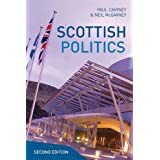 It uses the case study of the ‘Scottish Approach’ to show that it often seems to favour one approach (‘approach 3’) but actually maintains three approaches. What interests me is the extent to which each approach contradicts the other. We might then consider the cause: is it an explicit decision to ‘let a thousand flowers bloom’ or an unintended outcome of complex government? I explore some of the scientific issues in more depth in posts which explore: the political significance of the family nurse partnership (as a symbol of the value of randomised control trials in government), and the assumptions we make about levels of control in the use of RCTs in policy. For local governments, I outline three ways to gather and use evidence of best practice (for example, on interventions to support prevention policy). For students and fans of policy theory, I show the links between the use of evidence and policy transfer. We can generate new insights on policymaking by connecting the dots between many separate concepts. However, don’t underestimate some major obstacles or how hard these dot-connecting exercises are to understand. They may seem clear in your head, but describing them (and getting people to go along with your description) is another matter. You need to set out these links clearly and in a set of logical steps. I give one example – of the links between evidence and policy transfer – which I have been struggling with for some time. 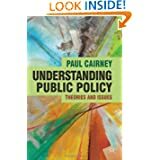 In this post, I combine three concepts – policy transfer, bounded rationality, and ‘evidence-based policymaking’ – to identify the major dilemmas faced by central government policymakers when they use evidence to identify a successful policy solution and consider how to import it and ‘scale it up’ within their jurisdiction. For example, do they use randomised control trials (RCTs) to establish the effectiveness of interventions and require uniform national delivery (to ensure the correct ‘dosage’), or tell stories of good practice and invite people to learn and adapt to local circumstances? I use these examples to demonstrate that our judgement of good evidence influences our judgement on the mode of policy transfer. From studies of policy transfer, we know that central governments (a) import policies from other countries and/ or (b) encourage the spread (‘diffusion’) of successful policies which originated in regions within their country: but how do they use evidence to identify success and decide how to deliver programs? From studies of ‘evidence-based policymaking’ (EBPM), we know that providers of scientific evidence identify an ‘evidence-policy gap’ in which policymakers ignore the evidence of a problem and/ or do not select the best evidence-based solution: but can policymakers simply identify the ‘best’ evidence and ‘roll-out’ the ‘best’ evidence-based solutions? From studies of bounded rationality and the policy cycle (compared with alternative theories, such as multiple streams analysis or the advocacy coalition framework), we know that it is unrealistic to think that a policymaker at the heart of government can simply identify then select a perfect solution, click their fingers, and see it carried out. This limitation is more pronounced when we identify multi-level governance, or the diffusion of policymaking power across many levels and types of government. Even if they were not limited by bounded rationality, they would still face: (a) practical limits to their control of the policy process, and (b) a normative dilemma about how far you should seek to control subnational policymaking to ensure the delivery of policy solutions. If subject to bounded rationality, they need to use short cuts to identify (what they perceive to be) the best sources of evidence on the policy problem and its solution. At the same time, they need to determine if there is convincing evidence of success elsewhere, to allow them to: (a) import policy from another country, and/ or (b) ‘scale up’ a solution that seems to be successful in one of its regions. Then they need to decide how to ‘spread success’, either by (a) ensuring that the best policy is adopted by all regions within its jurisdiction, or (b) accepting that their role in policy transfer is limited: they identify ‘best practice’ and merely encourage subnational governments to adopt particular policies. With approach 1, you gather evidence of effectiveness with reference to a hierarchy of evidence, with systematic reviews and RCTs at the top (see pages 4, 15, 33). This has a knock-on effect for ‘scaling up’: you introduce the same model in each area, requiring ‘fidelity’ to the model to ensure you administer the correct ‘dosage’ and measure its effectiveness with RCTs. With approach 2, you reject this hierarchy and place greater value on practitioner and service user testimony. You do not necessarily ‘scale up’. Instead, you identify good practice (or good governance principles) by telling stories based on your experience and inviting other people to learn from them. With approach 3, you gather evidence of effectiveness based on a mix of evidence. You seek to ‘scale up’ best practice through local experimentation and continuous data gathering (by practitioners trained in ‘improvement methods’). The comparisons between approaches 1 and 2 (in particular) show us the strong link between a judgement on evidence and transfer. 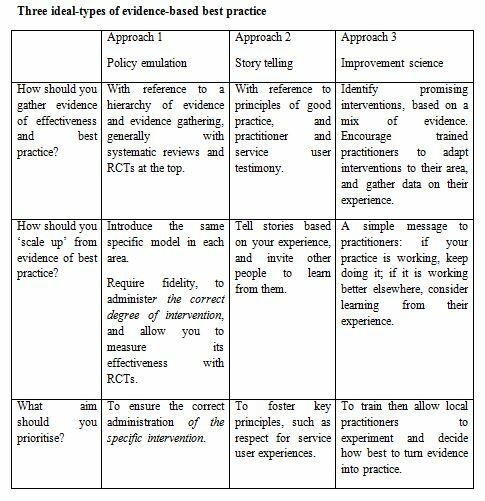 Approach 1 requires particular methods to gather evidence and high policy uniformity when you transfer solutions, while approach 2 places more faith in the knowledge and judgement of practitioners. Therefore, our choice of what counts as EBPM can determine our policy transfer strategy. Or, a different transfer strategy may – if you adhere to an evidential hierarchy – preclude EBPM. Evidence-based best practice is more political than it looks: ‘National governments use evidence selectively to argue that a successful policy intervention in one local area should be emulated in others (‘evidence-based best practice’). However, the value of such evidence is always limited because there is: disagreement on the best way to gather evidence of policy success, uncertainty regarding the extent to which we can draw general conclusions from specific evidence, and local policymaker opposition to interventions not developed in local areas. How do governments respond to this dilemma? This article identifies the Scottish Government response: it supports three potentially contradictory ways to gather evidence and encourage emulation’.